A new month can be a catalyst for a new hobby. Why not make gardening a new hobby this March? Gardening is not an exact science. No matter how many years' experience of planting and pruning, every gardener makes mistakes. So for the novice among these veteran horticulturists, starting out on their green paradise can be intimidating. 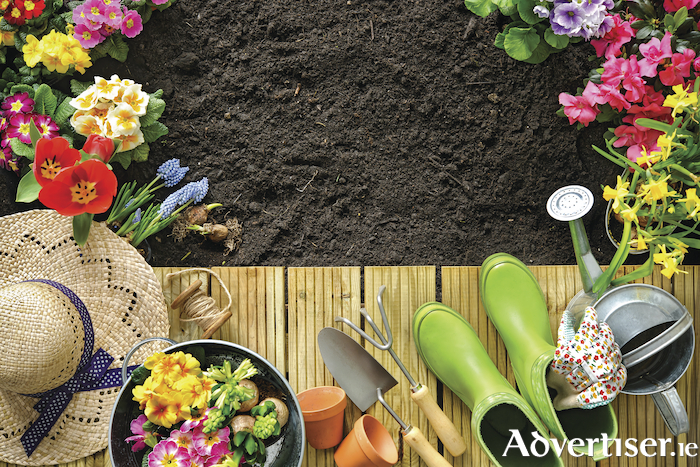 But there is no need to worry as the advertiser.ie has the top tips for beginner gardeners. Rome was not built in a day and the same goes for gardens. Many people use the excuse that they do not have enough space to start gardening but can simply start a container garden. A container garden is a small box of soil and because of its size they will not be overwhelmed or overworked when it comes to maintaining it. You can place these containers wherever you wish such as the back door or window and because these containers are close by you will likely follow through with your gardening. Location is all important for a plant's development. Some plants prefer the shade whereas some adore the sun, and do not forget about those plants that need half and half. A handy tip is to place your little garden on a trolley before bedding permanently in the soil as you can simply move the plant around the garden until it has its perfect place. There is no point sowing the seeds of a plant which will bloom in late winter if it cannot handle cold temperatures. Making sure your plant never goes thirsty is pretty much rule 101 when it comes to gardening (although it is highly unlikely that your plant will have a thirst on it in Galway ). But when we do get those odd hot, dry days, make sure your precious plant stays hydrated. So there you have it. Time to get gardening. If you would like to advertise your gardening services visit Advertiser Classifieds where you can promote your services from as little as €4 per month.